In distribution, manufacturing and third-party logistics operations, the cost of labor is typically the largest ongoing expense that a company incurs. But measuring the productivity and efficiency of the workforce is often last on the list of an enterprise implementation. There are many reasons for this: concerns over cost, safety, and the worker's fear of being monitored. As you can imagine, implementing a successful full labor costing solution in an enterprise is much more complex than just installing a software module. It requires setting up time estimates (or benchmarks), monitoring performance, and then analyzing results - or it could be as simple as just collecting work times on a task. Therefore, a labor management system can be deployed in various stages to achieve the results desired. It's also about managing the expectations of the people that comprise the entire workforce: from the shop floor or warehouse floor, to middle management, all the way up to the executive level. At ASC, our Professional Services Team understands that managing human factors and instilling pride in the workforce is the key to success. In our experience, proper management of expectations can actually improve safety, and provide a fair and impartial method of measuring performance. Directed Workflows contribute to better utilization of labor costs by reducing the time a person has to think about doing a task. Directed workflows allow the system to make sub-second decisions about the best possible “next” item to pick, the best location sequences, and the best inventory to pick for a specific customer rule. In addition, ASCTrac® combines these concepts to eliminate “paper” picking which will reduce “hunt times” and increase accuracy as well. The same goes for QC rules and directed QC testing. Further, QC testing in real time could change the pick rules in a millisecond – all of this helps control labor costs. Labor Costs and 3PL Costing: The ASCTrac® family of products offers many different levels of labor costing capabilities. The core WMS starts with a simple foundation of time stamped user transactions, allowing managers to gauge who is doing what and for how long. Adding the optional Metrics and Performance Module enables a manager and/or administrator to view users' productivity. 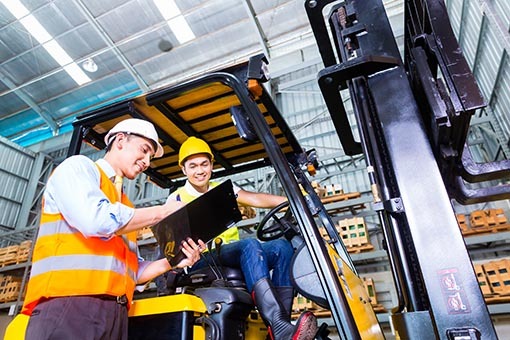 Our labor costing features for manufacturing and third-party logistics operations include calculations for the cost of labor for a given work order or 3PL customer. This is very important for process manufacturers who need a "cost per batch" or for lean accounting. Are you getting the most out of your largest operational expense? As a 3PL, do you know if you're making or losing money on each customer? As a manufacturer, do you know how much each work order costs to produce? ASC can help you obtain these answers in a cost effective, timely manner.